City of Belgaum was looking prettier than ever for the past 40 odd days with all those Flex banners saying Happy Birthday, thank you and advertisements were removed by the order of Election commission. On the day the results were announced same day in the evening they started to get back to where they belonged the Circles, road sides etc. See the one the picture placed at SPM road, it is not that the said banners are illegal, the city corporation does take money and give permission and the same is also mentioned on the said banner. But only a few of such banners pay to the corporation, especially the “congratulations” one are just posted on the sides of the circles which also hampers the view of the driver and can also cause accident. In India everything is planned/altered after a mishap occurs. The court on many occasions in various cities has ordered the local body to remove all illegal flex banners, advertisement boards in the city. In January the Karnataka high court had ordered BBMP to remove all such boards. In Pune in 3 days 12000 illegal boards were removed after the local oady was slapped by the Maharashtra high court on the same issue. The city is getting choked by these flex hoardings. Interestingly, there are many laws in place to protect public property. The main acts includes Karnataka Open Places (Prevention of Disfiguration) Act, 1981 – Police Act, Section 15 of the Tree Preservation Act, 1976 – BBMP Act, Section 367, sub-Section 31 of the Karnataka Municipal Act, 1949. The police are empowered with powers to take action in this regard under the Karnataka Open Places (Prevention of Disfiguration) Act. The Mayor for the city is to be elected in the Month of June most probably and we hope the elected corporators will raise this issue. Also for that matter the Cantonment needs to look into this as most Dharmveer Sambhaji Chowk upto College road (Benyon Smith) comes under the Cantonment. Guys what about banners of ministers – No one to tell them… u can see only add banners……. Is Flex banners harm-full to anyone I don’t think – friends just think how many families are getting food from these banners let me show you? 1)	The banner fitting person earns some money to help his family. 2)	The transport van which carries these boards from one place to another – earns some money to help his family. 3)	The Welder who makes frames of these boards – earns some money to help his family. 4)	Who prints banner – earns some money to help his family. 5)	The contractor who takes permission from corporation – earns some money to help his family. 6)	Corporation takes fee and helps us to keep city clean. 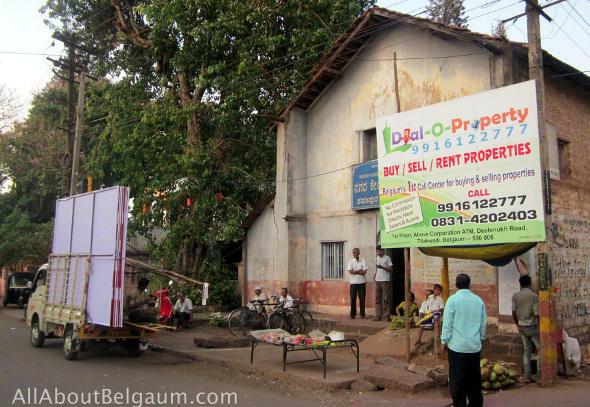 7)	The Advertiser will get customers from these banners – earns money to help his family. 8)	And finally PUBLIC will get information on best deals in the market. I do agree with you, this has become a menace now a days. In some places banners are blocking signal lights especially in Bangalore. This culture should be seriously banned and defaulters should be heavily punished.